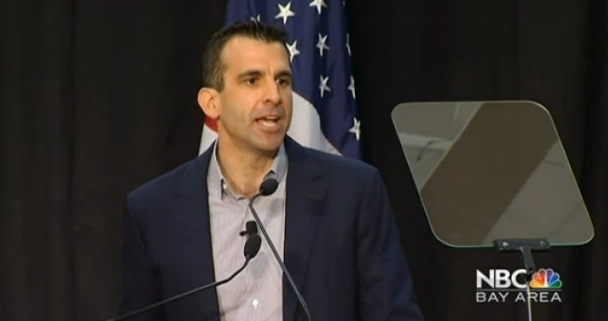 Mayor Sam Liccardo delivered his first State of the City Address last weekend. Instead of using the City National Civic, the event was held at Independence High School. The location was appropriate since he spoke quite a bit about improving opportunities for those that live in East San Jose. He also pledged to make safety a top priority and mentioned improving police compensation and staffing as two action items. Helping address the homeless situation and expanding after school and teen-job programs were also mentioned in the mayor's address, as was securing funding to bring BART to Alum Rock and Downtown San Jose. Great move. I like this mayor a lot.